Total 5th Semester is about 650 marks and there are no language papers in both 5th and 6th semester of 3rd year degree courses. You need to do one field work in each semester of 3rd year either as Project work or filed visit. The first paper ( Skill Based course) is 50 Marks and you have Three subjects as choice. you can select any one subject. ( Note: Subject selection is made by university to conduct exams smoothly). 6 Data Base Management System. for 3rd B.Com cluster electives. c. 5.7 Project Work – Rural Credit survey/ Banking operations/ Credit Appraisal. 4. 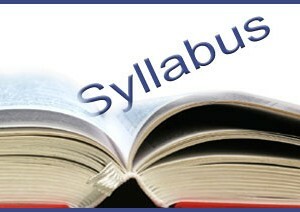 No Change in the subject of Taxation Syllabus. That the colleges has to opt Two theory papers and One project work in 5th Semester from one elective cluster out of 4 above and shall continue the same elective cluster in 6th semester also. The project work is for 100 marks. 25 Marks are given as internal assessment and 75 marks as external assessment. The project is individual for each student or a group of 5 members can do the same project.